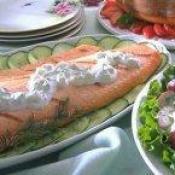 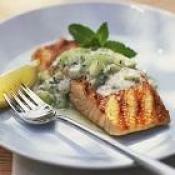 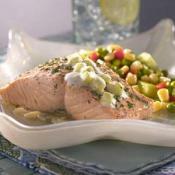 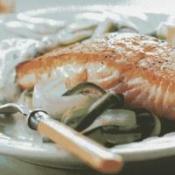 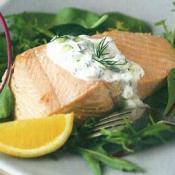 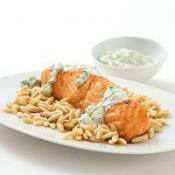 Broiled salmon in a creamy herb sauce, served with cucumbers. 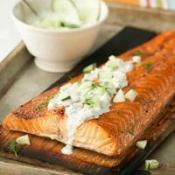 The combination of salmon and whitefish is delicious (and pretty). 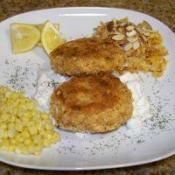 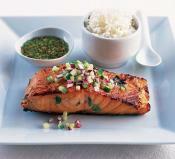 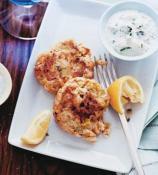 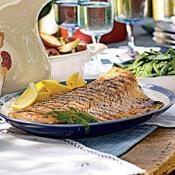 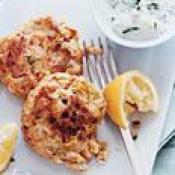 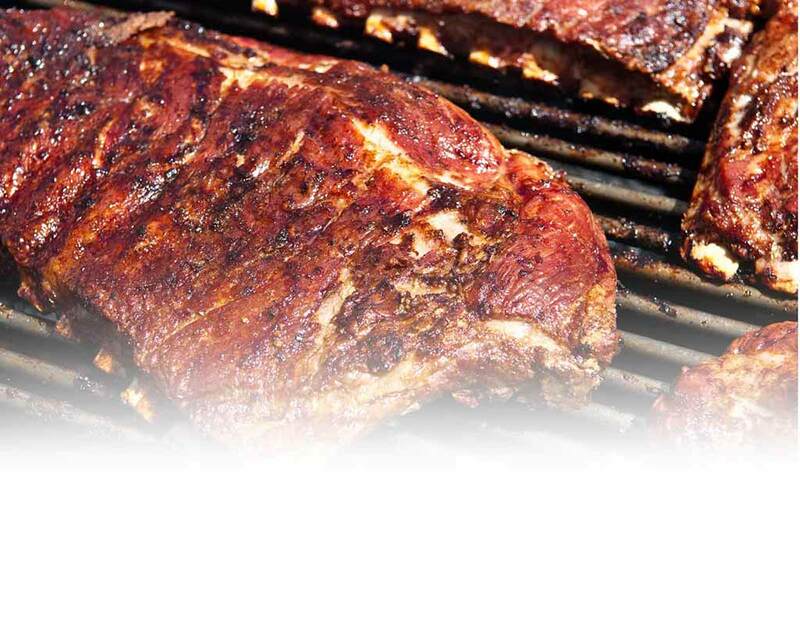 Baked, broiled or grilled - seafood recipes are the catch of the day.